Katie is a 12 year old witch who has to contend with the everyday struggles of seeming ordinary. In the series of audio books, Katie deals with a gossiping cat, falling in love with the new teenage wizard in town, and helping to run her mum's magic shop. Katie and her best friend Isis are very different from one another. Apart from the fact that Katie is a witch, and Isis isn’t, there are many more differences. Isis has a big house, nice clothes, and a very pretty face. Katie is not nearly so well-off in those ways. One day Katie and Isis decide to swap their lives. Katie uses her magic powers for the experiment. Illustrations for educational resources for GCSE level students, including subject matter such as the UN and the Security Council, the exercise and abuse of power, the uncertainties of international law on the use of force, child labour, and conflict in countries such as Kosovo, Afghanistan, Iraq, Libya, and Ukraine. After being introduced to concepts and principles, students have been encouraged to analyse and evaluate issues from for themselves from a legal perspective. It is 1215 in England. Through the eyes of Bardolph the peasant, we experience his struggles with his feudal lord Theobald, and explore the principles of the Magna Carta. Through illustrated activities, background information and an audio slideshow, this teacher and student resource book examines the fundamental values and principles underpinning our justice system and their relevance today to modern day society. The book commemorates 800 years since some of the most important foundations of the British justice system were set up, and one of the first times that power was challenged in the UK. Take fate into your own hands with this" Choose Your Own Adventure" book. Follow the instructions, step into Celia’s shoes and navigate through her world of digital reality and fantasy in her first architectural job. 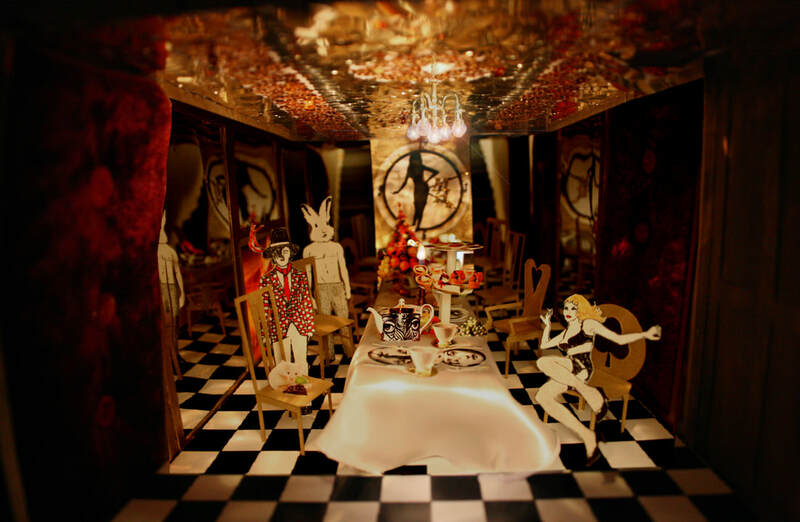 ​Alice finds herself literally falling into a reverie of sensual fantasy. Behind the laden table stand the Mad Hatter and March Hare, the glittering clock bearing the perpetual state of "tea o’clock".